Welcome to the Cobblestone Hotel & Suites in Erie, Pennsylvania. Our beautiful hotel is conveniently located near everything that Erie, Pennsylvania has to offer including UPMC Hamot, Erie International Airport, Erie Amtrak, Saint Vincent Hospital, Mercyhurst University, Gannon University, and more. 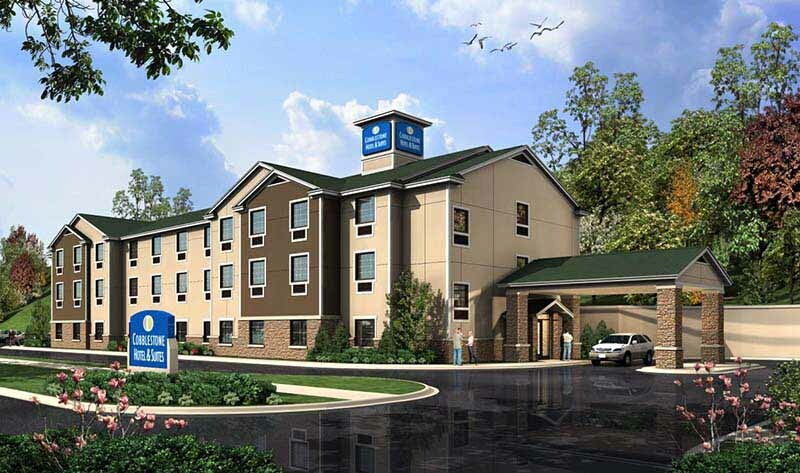 Our hotel provides easy access for traveling to and from Interstate 79, Interstate 90, U.S. Highway 19, and U.S. Highway 20. Located north of Interstate 90 along the bay, our hotel is within the heart of Erie, Pennsylvania. In town for business? The Cobblestone Hotel & Suites in Erie, Pennsylvania offers easy access to General Electric Company, Erie Indemnity Co., and much more! If you are in town for some fun? Check out the Bassin’ on the Bay Charters, The Erie Seawolves, The Erie Otters, The Erie Bayhawks, Erie Explosion, the Erie Illusion, Erie Insurance Arena, Bayfront Convention Center, Lake Erie Ballet, Erie Chamber Orchestra, Erie Philharmonic, Erie Art Museum, Firefighters Historical Museum, Erie Maritime Museum, expERIEnce Children’s Museum, Waldameer Amusement Park, Presque Isle State Park, and more.